Question: How can I achieve humility? 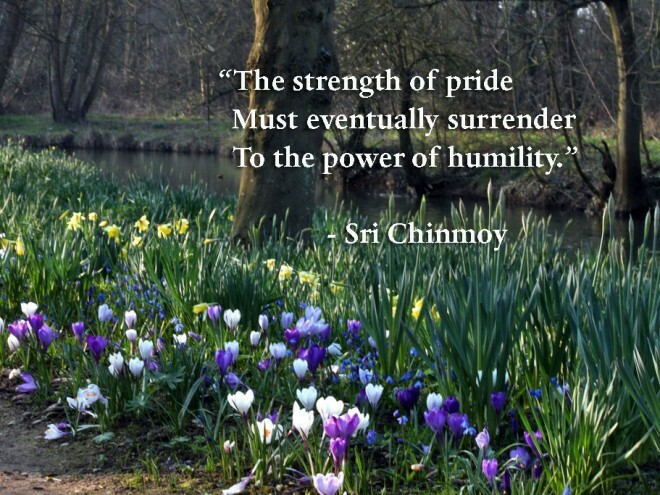 Sri Chinmoy: In our human life when we have something, immediately pride, vanity and many other undivine forces enter into us. We extol ourselves to the skies. But let us think of the example of a tree. When the tree is in full bloom, when it is laden with ripe fruits, when it really has something to offer the world, the tree bows down. If we can become one with the consciousness of a tree, we will feel that the more we have to offer, the more humility we will have.